Tyrese Parson Tyrese Parson, 17, was taken from this earth far sooner than we wanted. He was known for his smile that could light up a room, and that light was extinguished on June 8, 2018. He was born in Des Moines, Iowa on July, 27, 2000 to two parents that loved him dearly, Morris and Heather Parson. Tyrese loved bicycling, listening to music, and most of all spending time with his family and friends. He previously attended Scavo High School. Tyrese was quite a character, and had a large personality, but was also polite and kind. 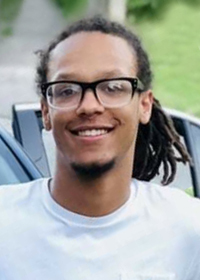 His family that remains to cherish his memory include his dad, Morris Parson (Rhiannon Hill); mom, Heather Parson (William Green); brothers, DeMarkus Ruckman, Morris Parson Jr., DeAndre Parson, Chrishawn Hunt and Donte Parson; grandparents, Tim (Susan) Ellsworth, Alfreda Sanders and Jimmy Parson. A visitation will be held on Wednesday, June 13 from 5 to 8 pm at Hamilton’s Funeral Home, 605 Lyon Street. A funeral service will also be held at Hamilton’s Funeral home at 1:00 pm on Thursday, June 14. Memorial contributions may be directed to the family in loving memory of Tyrese.